When on holiday, we expect excellent service tailored to meet the needs of all. 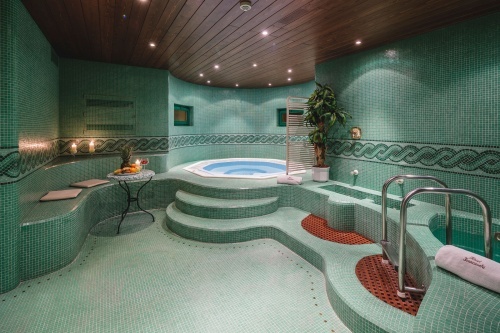 For this reason, at Park Hotel Franceschi you will find a number of areas designed to ensure our guests have everything they could need at their disposal: a bar with lounge areas, a spa with sauna, jacuzzi, Turkish bath, tanning booth, exercise bike and treadmill, a playroom for children and a meeting room. Nor is there any shortage of outdoor space, such as the panoramic garden with views of the Dolomites in front of the hotel, where guests who enjoy sunbathing in the mountains can spend the whole day in the sun on one of the sun loungers, and where parents can relax and enjoy a drink while their children play on the lawn or in the equipped playground area, not to mention the tennis court and boules court. The restaurant’s dishes are inspired by traditional Italian cuisine as well as local specialities. All are prepared with painstaking attention to the quality of the produce used, from the sumptuous sweet and savoury breakfast to the dinner offering a choice of four first courses and four second courses and a buffet of warm and cold appetisers, salads, cheeses and desserts. Each week a traditional local dinner is also served with Tyrolean music, as well as a gala evening. 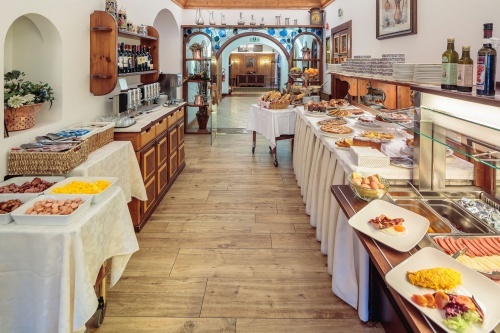 The services offered by Park Hotel Franceschi also include a spacious car park, ski and bicycle store, free wi-fi throughout the premises, laundry service and a lift.